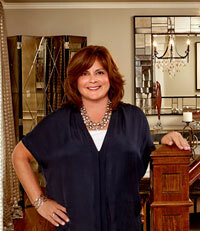 The following is guest post from Patti Stern of PJ & Company Staging and Interior Decorating. 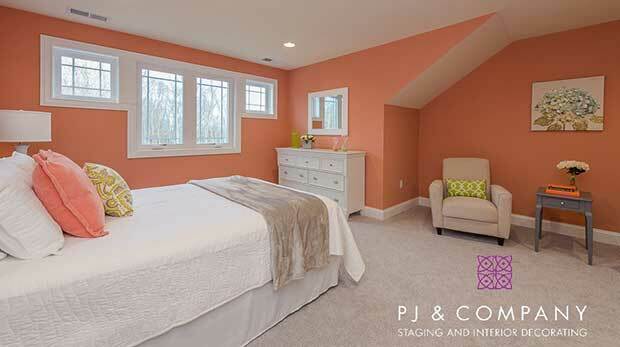 All photos are example of design and staging work by PJ & Company Staging. 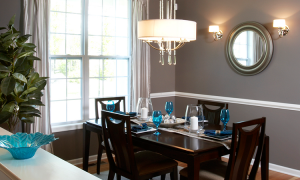 If you’re getting your home ready to sell this spring, it’s the perfect season to add pops of trending colors to attract buyers and help your showing stand out from the competition. The following are some of our favorite tips for introducing colorful accents that will grab buyers’ attention and make them feel welcome from the moment they step foot on the front porch. And once they become engaged with the property, they’ll be more inclined to make an offer! After cleaning up winter debris from the yard, a great way to attract buyers past the front door is to create an inviting porch with plenty of curb appeal. The easiest way to give a quick facelift for the season is with bright accents such as a beautiful welcome mat, floral wreath, colorful pillows placed on a bench or chair and potted seasonal flowers and greenery. Once the buyer steps into the home, create a welcoming entry with an eye-catching hallway runner in a bold patterns and colors. Pair the rug with an adjacent console table vignette using floral or grassy arrangements, a beautiful lamp and hanging mirror to set the inviting tone for the rest of the property. After freshening walls with neutral colors for a soft back drop, add dimension with colorful wall art that not only complements the rest of the room’s décor but enhances the room’s unique features. Bring new life to sofas and chairs by adding accent pillows in trending spring colors and bold prints such as coral, turquoise, and green. Don’t forget to layer with a soft throw draped over an armrest that complements the color palette and adds a feeling of warmth and luxury. An easy way to embrace the spring season in your bedrooms is by putting away heavy bedding and adding a white duvet or coverlet. Layer with accent pillows, shams, and a cozy throw in fresh hues such as floral prints in soft blues, greens, corals and yellows for a spring-like, peaceful feel. To complete the fresh look of the room, pair bedding accents with nature-inspired botanical wall art in complementary colors. To create a welcoming, spa-like ambience in the bathroom, our go-to accents include layering fresh, fluffy towels on countertops and racks, hanging a fresh shower curtain with bright patterns and hues and finishing with a plush bath mat to match. Other favorite touches are silky florals in creams, green succulents, colored glass vases or bottles, liquid hand soaps, candles and of course wall art. 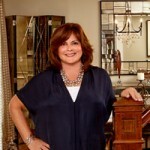 For more information, contact Patti Stern at 203-640-3762 or visit pjstagingdecorating.com. 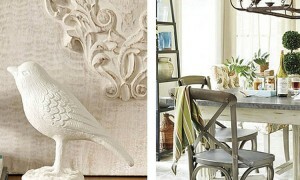 Time to give your home a little refresh with some spring style tips.